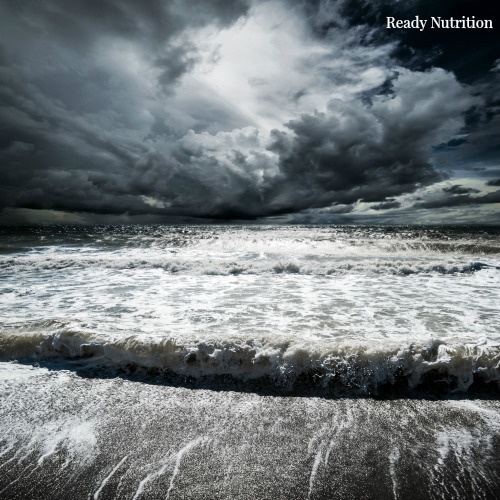 Good Day to you, Ready Nutrition Readers! This article is going to cover some tips for planning for you and your families to prepare for the hurricane season. If you have read some of my previous articles, you probably know that my wife and I survived Hurricane Katrina in New Orleans, in addition to some other, smaller hurricanes there. The planning I’m suggesting for you is not exhaustive; however, these are some finer points that most folks don’t really think about normally. All of what I will mention, however, has been “battle tested” with what we have faced. Where are your exit points to be able to flee? Major highways, roads, bridges, secondary roads, and “choke” points (where traffic and other refugees tend to bottleneck and become trapped by sheer weight of numbers) on your route out of Dodge. What is the highest point in your area where you can safely stay above the floodwaters? This is a must-find location. Historically in hurricanes past, what area (township, suburb, etc.) was the safest to be? Can emergency services reach you in the event of life-threatening incident? This falls in line with knowing their capabilities. Supplies along the way. You need to know where gas, groceries, medical supplies, and so forth can be reached. With everything I just listed, all of these items need to be marked for your use on a local map with as much detail as possible. Do not delay! You will not have time to mark all of this when the hurricane is on the way! In addition, there will be changes that you will have to update on your map, such as power lines downed, bridges out, severe wind damage even prior to the storm happening, and so on. You need those basics on the map, and then…laminate it. Laminate all maps and documents, such as traveling itineraries and emergency plans. A map is no good when it’s soaked and falling apart in your hands. For all windows on the ground level: board ‘em up with ½” pressure treated sheets of 4’ x 8’ plywood. The strength and durability is great, and you may very well need to abandon the home for several months. After measuring your plywood pieces, cut them to fit the windows and mark them with a code in marker or paint, and match it to the window. This will speed up your boarding up of the house and lessen the confusion. Pre-drill holes into your house or into the window casing through the corners of your plywood sheets. Use galvanized hex bolts to attach your pieces, not screws. Hex bolts need some kind of a wrench to remove, unlike screws. Plus they’re more crowbar/pry bar resistant. Get ‘em thick…maybe 3/16” diameter, and make ‘em a minimum of 2 ½” in length. You want a good “bite” to protect from the storm and the thieves. Don’t go cheap or light on these! Each corner should receive one, and an additional 2-3 per side of the plywood, depending on how large the window is. For sliding glass doors you’ll have to place pieces vertically and overlap them. Use 2” x 4”s, 8-10 footers, as braces on the overlapping sections. Stack your pieces on the edge and make sure you can get to them within a few minutes. The diagram of the house will help you to set them all in place. All windows and doors on the second floor should be boarded up in like fashion; however, you can use ¼ to 3/8” plywood (pressure treated as well) so that weight will not be a consideration. Use your best judgment. All doors and patio doors also need to be secured and buttressed. Cut boards for all doors and nail them into the floor as a brace. If you have to leave the house, you must board them up before in the same manner as outlined: thicker plywood for the first floor and thinner for the top levels. Pre measure, pre fit, and pre cut all pieces beforehand and have them coded and marked to avoid confusion. All supplies that you will need for at least one month need to be gathered and stored in an area that they can be loaded onto your vehicles to rock and roll and get out of there! Discretion is the better part of valor. Have as much in canned goods as you can. Remember: dry-goods (foods) in a hurricane is an oxymoron. If you have a lot in dried goods (such as pasta, beans, rice, potatoes, etc. ), pack ‘em in Ziploc bags and then in garbage bags and then in plastic bins that are as watertight as possible. The best bins I’ve found are those tuffy “Rubbermaid” bins with the edge of the lid that mates perfectly with the top edge of the bin. A little duct tape, and you’re in business. A lot of those other bins have little holes in the handles and they can’t hold a good seal. Pack your food, blankets, clothing, medical supplies, pet food and meds, important documents…everything…in these bins. Mark the outside of them and give them a letter or number. You should have (2) inventory sheets (master lists) with the identifier and the contents of each bin on them. In addition, each bin should have its own inventory sheet. This way if the master or spare lists are lost, you can redetermine what is in there. Vehicles are a biggie. Read about our adventures in New Orleans, and you will see how we kept both vehicles high and dry. When all is said and done, you may wish to stash your vehicle in a parking garage that is above the level of the floodwaters. Who cares about the cost or the inconvenience? All that I can say is that after Katrina, my wife and I had two working vehicles…much to everyone’s envy…and we had to be smart to keep them, if you get my drift. Gasoline needs to be obtained prior to the hurricane’s making landfall. Remember: first and foremost is to “squirrel” away the vehicle if you’re not above the flood plain and you’re going to hunker down. You need at least (2) 5 gallon containers per vehicle, plus all of your vehicles need to be “topped off” ASAP. Never mind the gouging you’ll face at the gas pump. Just get the gas. When everything is down and done, it’ll be ten times that price per gallon. All of your emergency equipment needs to be ready and functional prior to the hurricane making landfall. Radios, batteries, and all supplies need to be waterproofed and accessible. I strongly recommend Motorola Walkie Talkies for the whole family, because as with Katrina, the cell phone towers will be down and you need to be able to effectively communicate if you have to range out for short distances. Special equipment will be useful, such as night vision devices or long-range short-wave radios. We must mention the firearms. The laws vary from state to state, so before you take on a look similar to Arnold Schwarzeneggar in “Commando” you need to find out what your laws are in the state you reside in. My best advice is simply this: you need to do whatever it takes to secure the lives and safety of your family members. Remember, JJ’s recommendation in the shotgun article is the Mossberg 500. Speak softly and carry a big stick! Enough said there. Medical supplies should all be arranged, waterproofed, and kept where you can reach them first thing when they’re needed. Special needs family members, such as diabetics or other chronic conditions need their medicines available 24/7, no exceptions. Such will take coordination and planning to accomplish. All of the members of the family need to know some simple first aid and at a bare minimum the kids need to be able to be “talked through” a first aid procedure if mom or dad are hurt too badly to do it. I strongly recommend a CPR course for each member of the family for basic lifesaving techniques. Remember, there is no cowardice in leaving the area. My wife and I stayed in place because my mother-in-law had COPD and needed measures taken that only a hospital was able to provide. Please refer to my articles on what we did during Hurricane Katrina for more clarity in this matter. If you can’t weather the storm, board up and leave, at least temporarily. There is no home or possession worth your life or the lives of your loved ones. I hope some of these tips you will find helpful and welcome any and all comments or questions you may wish to provide. Plan your work and work your plan. The key is being organized with your supplies at the ready and the knowledge of how to use them and when you will use them. Good luck in battening down the hatches, and have a great day!